The shorthorn cattle were standing astride the path. We were rather taken aback. Were these bigger versions of ourselves? Were they aliens? Whatever they were, they looked like fun, so all three of us decided to have a game. While Mumpy ran around them in circles, Dallas went up to each of them and then backed away, and Denzel didn’t know quite what to do. A few stern commands and calls of their names calmed the three of them down. But it was obviously going to have to be something of which to beware if we were going to walk in Ashenbank Wood on a regular basis. The cattle are part of the Woodland Trust’s management plan to help graze Ashenbank and retain the open character. Research indicates Ashenbank was historically used as wood pasture, but this had stopped by the early 20th century. Today the cattle are part of the management methods the Woodland Trust has revived so the cattle are creating a mix of scrub and sward so saplings are able to regenerate. The Trust is taking the area back to wood pasture and having the cattle grazing helps to ensure a mix of habitat and growth of more diverse ground flora. Wood pasture is a traditional way of grazing livestock within woodlands. And since 2010/2011 a small number of cattle have been used to maintain the mosaic of woodland and open ground as part of the wood pasture restoration project, which is great for biodiversity. The area was managed traditionally as coppice with sweet chestnut and hornbeam trees being worked amongst oak and sweet chestnut. If folklore has any handle on the truth then Ashenbank’s sweet chestnuts are descended from trees that were planted by squirrels who had stolen the nuts from Roman soldiers who had a camp nearby. Ash field maple woodland also naturally grows here. Off Halfpence Lane, near the village of Cobham, close to Gravesend, within the Kent Downs Area of Outstanding Natural Beauty, Ashenbank Wood, which once belonged to the Cobham Hall estate, is made up of 30 hectares of ancient woodland. As well as dense areas of trees, the site has open grass areas and ponds. 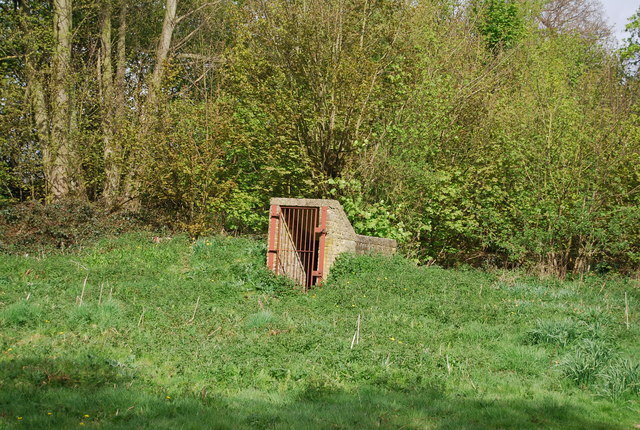 During the Second World War, an RAF camp was constructed in the wood for the airmen and auxillaries operating out of RAF Gravesend. Huts were built under the canopy and after the war, these were occupied by people who had lost their homes to the Luftwaffe. Some ruins of the original structures still remain from this period, but the dwellings that were lived in until the mid-1950s have gone. The site is also home to a Bronze Age Bowl Barrow. This item is believed to be at least 3,500 years old and so is of national importance and has been classified as a Scheduled Ancient Monument. The underlying geology at Ashenbank Wood is made up of a chalk bedrock overlaid by fine-grained Thanet Beds sand. Consequently, the soils are principally gravelly with flat terrain in the north that extends into undulating shallow dry valleys at the southern end. The Trust was given permission to cut down many of the newer trees planted amongst the ancient oak trees, which had been planted in the wood more than 350 years ago. A large number of trees were brought down by the great storm of October 1987, and these have been left to rot naturally. Where these lie across the trail, steps have been cut into them and handrails attached. There are still a huge number of veteran trees still standing with girths of up to six metres. These trees have decaying wood within them, providing habitat for a nationally significant collection of beetles – many of which can only survive within this rotting wood – and a huge number of fungi. One such species is the very rare saproxylic beetles that thrive on the decaying wood. Since 1999 a bizarre experiment has been ongoing to maximise the value of its habitat. In total, a dozen trunks of trees that had been felled were stood up and strapped to trees that are still alive. As a consequence, the deadwood has “survived” for longer than it would have if it had been left on the ground and has been able to provide accommodation for no less than 77 insect species. Some 50 species of bird are thought to breed in the Cobham Park area and with the opening up of the wood pasture at Ashenbank, it is hoped to encourage more birds including the rare nightjar, which is so magnificently camouflaged it looks like a piece of wood. If you visit in early spring, before most of the trees come into leaf, the woodland floor is a carpet of white in places, with the flowers of Wood Anemone. Towards the end of April, a wonderful display of Bluebells in the southern part of the wood may prove therapeutic. For those who prefer the colour yellow, look out for patches of Yellow Archangels. A great wood for walks, with a good path network and two waymarked routes. Darnley Trail, a long distance multi-user path, also passes through the northern part.